How To Choose A Neighborhood. NSH Mortgage has the knowledge and tools to help you buy a home in a the neighborhood that you enjoy the most. The most famous real estate mantra says that the three most important factors in your homes value is location, location, and location. This may leave some of the home-buying public intimidated by that choice. There is no need to stress, with new high tech tools and with old schools thought processes can effectively help you choose your perfect place. Also you should seek out your mortgage broker to help you ask question when getting a mortgage to help you out with your future investment. Whether you are new to an area or want to expand your home search into unfamiliar locations, numerous resources can help you neighborhood information. One resource you cannot always rely on for insight into different communities, your real estate agent. Due to Fair Housing laws, real estate agents cannot tell you directly that schools are good or bad in an area. They cannot offer an opinion on an area’s crime rate. However, real estate agents can suggest you look at a variety of communities, and can direct you to the information you want. You can search from a wealth of information about demographics, crime and schools online. It is not difficult to find you can even use something as simple as Google Maps street view. For general information, check out Sperling’s Best Places, which provides an array of information about many locations. This includes unemployment, school spending, the cost of living and other demographics, arranged by zip code. You can find household income statistics from the Census Bureau at Census Explorer. Neighborhood Scout provides seemingly unlimited demographic information and also identifies factors that make a neighborhood special. Whether you have children or are planning to have children, you may be interested in the quality of the local schools. Even if you do not plan to have children, school quality matters. 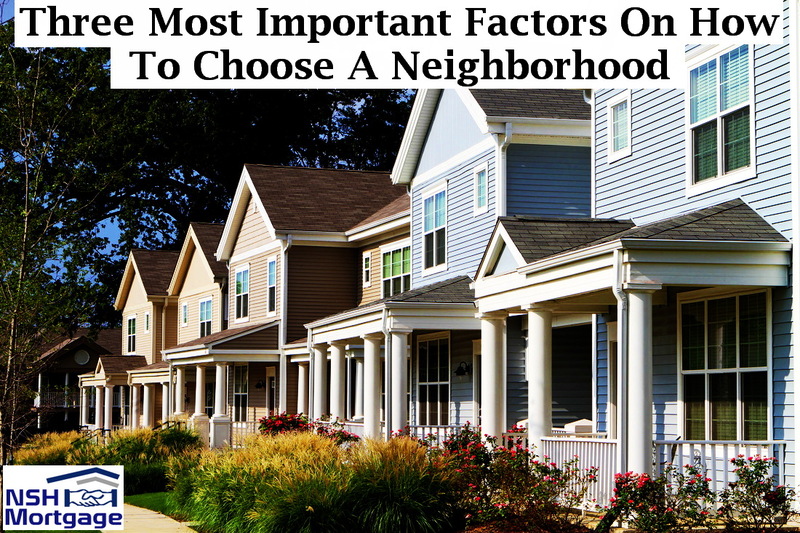 It influences the desirability of living in the neighborhood and on home values. You can look for crime information on Family Watchdog, Crime Reports or Neighborhood Scout. If you are concerned about environmental hazards that could affect your family’s health, search the Environmental Protection Agency’s MyEnvironment site. If you want to fully understand your available transportation options and walk-ability, check out some of these mobile apps like WalkScore, BikeScore and TransitScore. When you visit a neighborhood, try using the Around Me app. It can help you find things like parks, restaurants, coffee shops, libraries, fitness centers and shops. If you have a specific address you want to check out, you can get a free comprehensive Home Disclosure report powered by data from RealtyTrac. The report provides information about more than 42 factors like the presence of environmental hazards, school information as well as real estate information such as the sales history of the properties in that area. You can also check out price trends on various real estate listing sites to see if home values are trending up or down. These factors can tell you a little bit about the direction the community is going and can also help you decide how much room you have to negotiate if you plan to make an offer on a home in the area. Public records can also provide useful information about a specific house and its neighboring properties, such as how long the owners have lived there and what they paid for the property. County and local government websites can provide information about issues that are being discussed in the region and about future development plans. While apps and websites are full of helpful data, there just no substitute for visiting neighborhoods in person. Driving or walking in your potential new neighborhood allows you to see first hand what the homes look like. You will see how much energy the community devotes to home maintenance. You will notice if your prospective neighbors are similar in age to you or at a different phase of their lives. Or you may see a mixed group of singles, families and empty nesters. It is smart to visit a neighborhood you like at different times of day and evening, as well as on the weekend and during the week to get a feel for what it would be like to live there. Locate the nearest grocery store and coffee shop and dog park. Try your potential commute, and check out the schools if you have kids. Most important do not be shy about asking people on the street or in the local cafés what it is like to live there, what they love and what they do not love it can be very insightful. A mix of high tech searches and some legwork can help you narrow your priorities and find a neighborhood that fits your lifestyle as well as your budget.